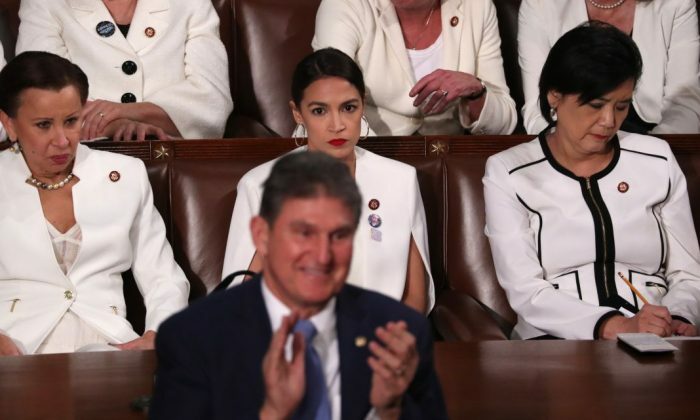 Sen. Joe Manchin (D-W.Va.) appeared to be the only Democratic lawmaker to stand and clap when President Donald Trump called for a ban on late-term abortions during his State of the Union address on Feb. 5. 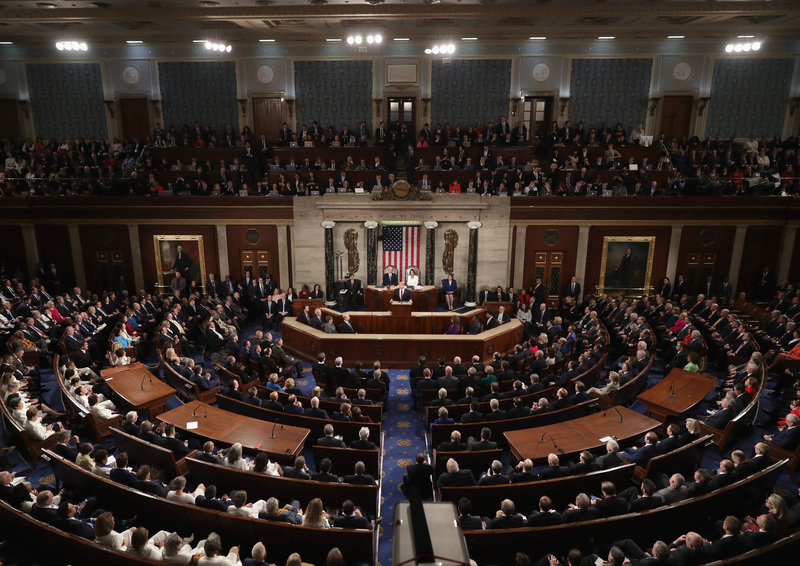 “Lawmakers in New York cheered with delight upon the passage of legislation that would allow a baby to be ripped from the mother’s womb moments before birth,” Trump said during his address. Manchin was photographed standing and clapping during Trump’s comment on abortion. A journalist with Real Clear Politics asked Manchin about why he stood. “Late term abortions are just horrific…totally just wrong,” he said. Trump’s comments come after several states passed or proposed measures to expand abortion. Rhode Island, Vermont, Virginia, Maine, New Mexico, and Maryland have proposals on the table. New York state, meanwhile, passed the Reproductive Health Act on Jan. 22, which codifies a woman’s ability to get an abortion. The new law allows a mother to have an abortion if there is an absence of fetal vitality or the pregnancy is within 24 weeks of conception. It also allows abortion after the 24-week mark if a doctor acting on “good faith” determines that the abortion is necessary to protect the life, or health, of the mother. The term “health” is not defined in the new law. A number of pro-life groups have pilloried New York and Gov. Andrew Cuomo for the measure, namely after he directed buildings and bridges to be illuminated in pink to celebrate the law. Pro-life group New York State Right to Life described the bill as “extreme,” saying it will expand abortion past 24 weeks through birth. 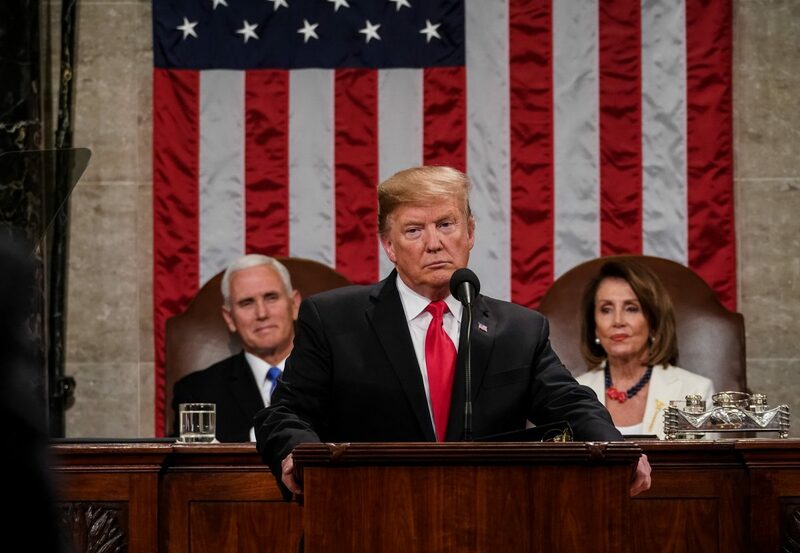 In addition to abortion, Trump also touched on socialism, border security, criminal justice reform, and infrastructure. 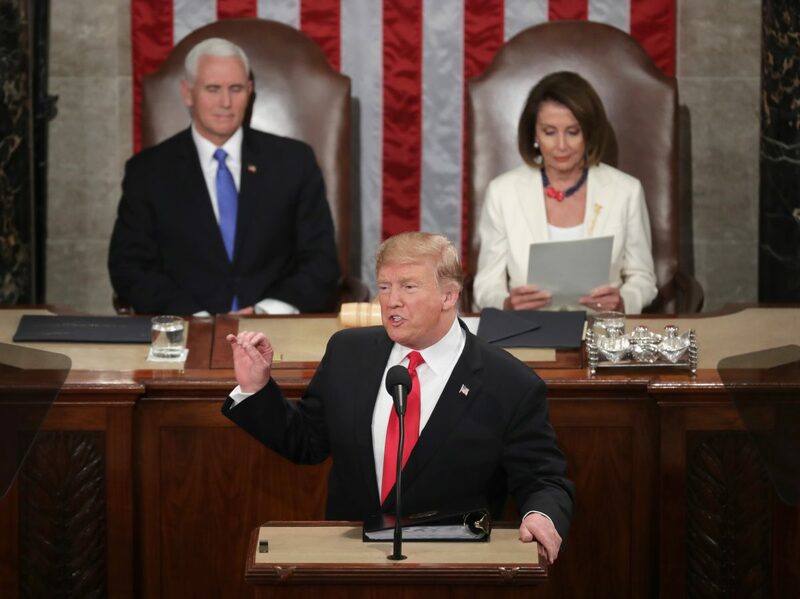 “Now is the time for Congress to show the world that America is committed to ending illegal immigration and putting the ruthless coyotes, cartels, drug dealers, and human traffickers out of business,” Trump said about border security. “Tonight we renew our resolve that America will never be a socialist country,” he added.